Service members and their families stationed at Fort Leonard Wood, Missouri, one of the largest training bases for the U.S. Army, received a special visit on May 3 from The First Lady, Dr. Biden and Astronaut Mark Kelly. 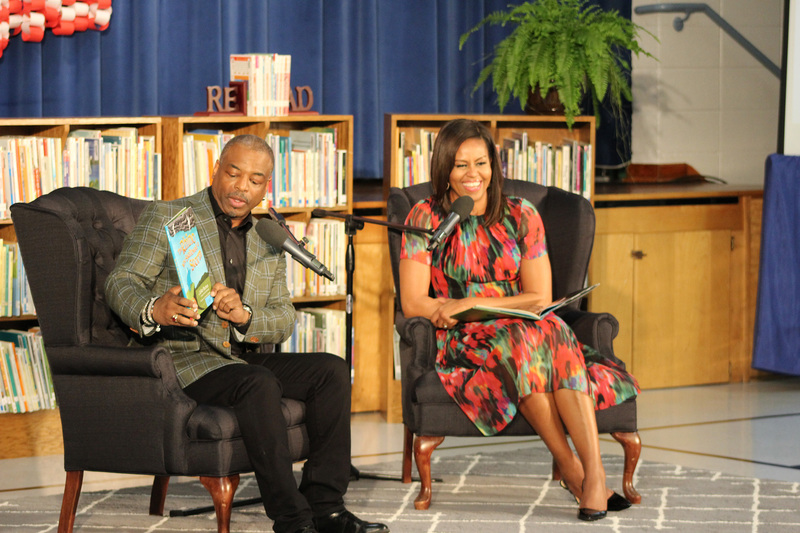 They were joined by lifelong literacy advocate LeVar Burton, the host of Reading Rainbow®, for a story time event for students on-base at Thayer Elementary School. 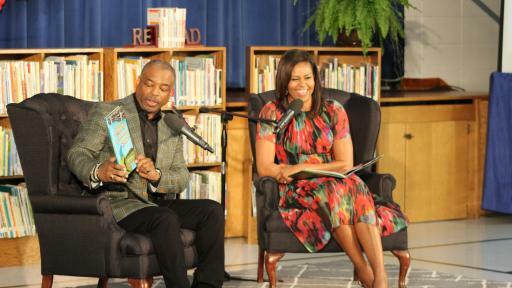 The event was part of the White House’s Joining Forces initiative. Celebrating its 5th anniversary, the initiative works to ensure that service members, veterans, and their families have the tools they need to succeed throughout their lives. 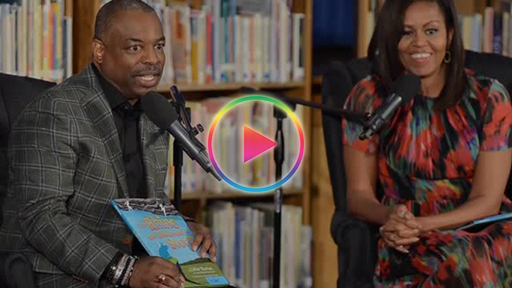 The multi-award-winning Reading Rainbow® children's television series launched in 1983 to encourage kids to read, by bringing books into their living room. 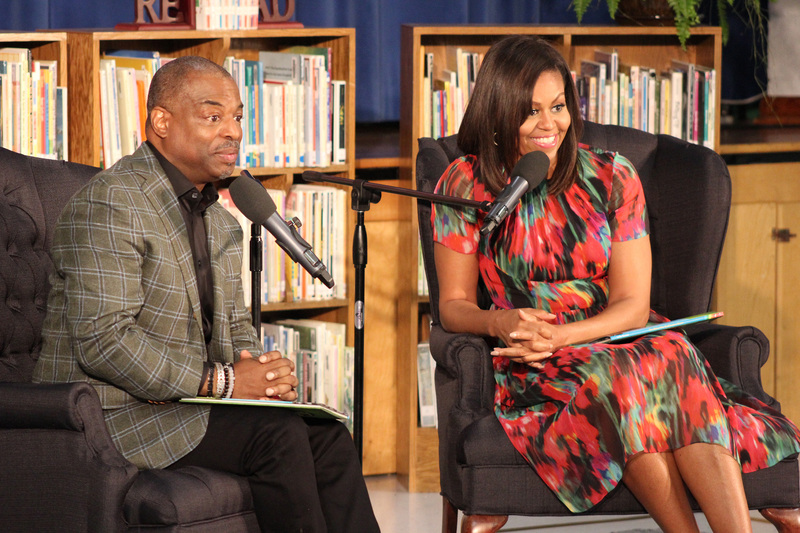 Over the next 26 years, actor/director LeVar Burton (also known for iconic TV roles as Kunta Kinte on "Roots" and Geordi La Forge on "Star Trek: The Next Generation") hosted all 155 episodes, inspired millions of people to love reading, and dedicated his life to promoting literacy and the love of learning in children everywhere. In 2012, RRKidz, Inc. reimagined the iconic brand for today’s digital families and launched the enormously successful Skybrary Family digital service. RRKidz, Inc. has since launched other enriching products for children and their parents, including LeVar’s first children’s book, The Rhino Who Swallowed a Storm. The mission of RRKidz, Inc. is to instill a passion for learning in children. 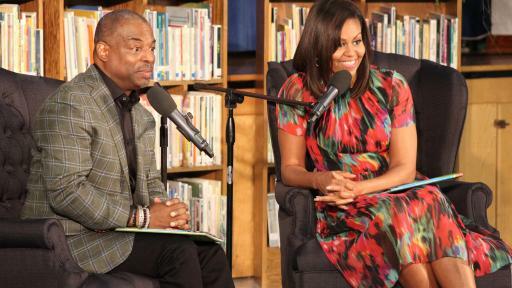 Reading Rainbow® and its logo are registered trademarks of Western New York Public Broadcasting Association (WNED-Buffalo) and used with permission. ©2016 RRKidz, Inc.